What’s New Around Disney World and Disneyland: April 1, 2014! Starting on the east coast, a recent trip around Disney World’s Magic Kingdom Monorail Loop has revealed a few changes in eats and treats. We’re talking property refurbishments, menu updates, tea, and cupcakes, so hop on board the Monorail (“Your Highway in the Sky!”) and see What’s New! We’ll start our Monorail trip at Magic Kingdom. 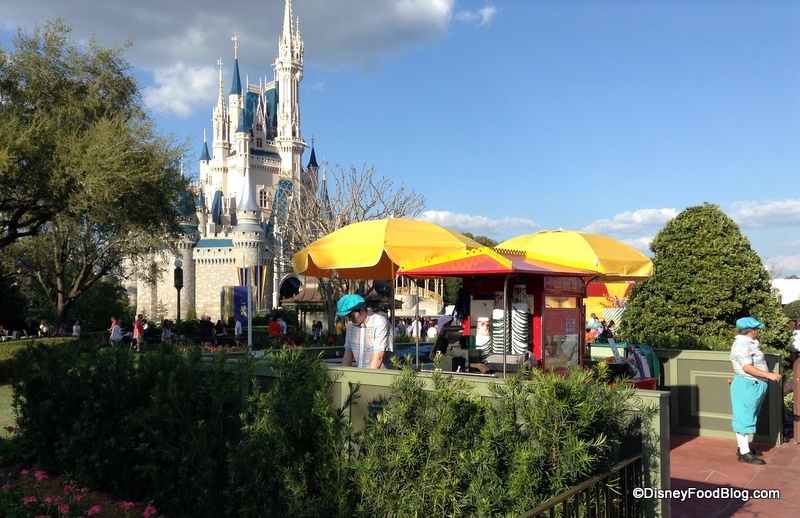 You may be aware that the Hub (the circular area directly in front of Cinderella Castle) has begun a major refurbishment. 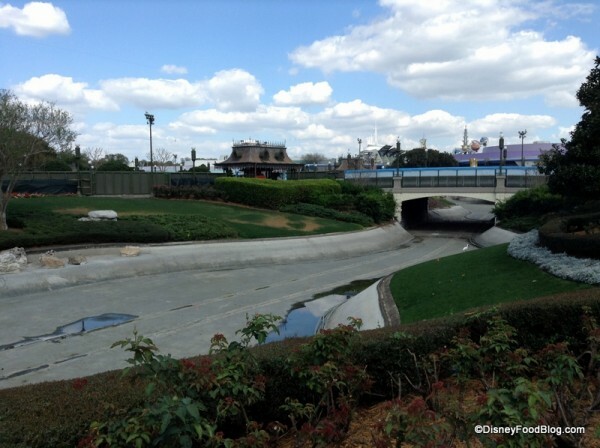 This project is slated to run in stages finishing sometime in 2015, with the purpose of accommodating more guests for fireworks and parade viewing, with the added benefit of relieving some of the post-show gridlock thanks to additional walkways. 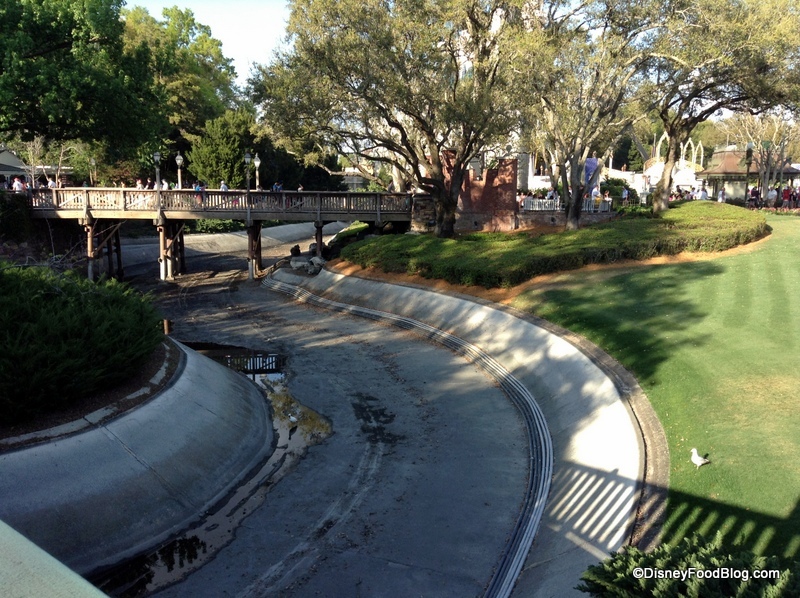 Though much is covered by refurbishment walls, you can see in these photos where the water that flows towards and around Cinderella Castle has been drained for now to accommodate the construction. Soooo… what does this have to do with food? 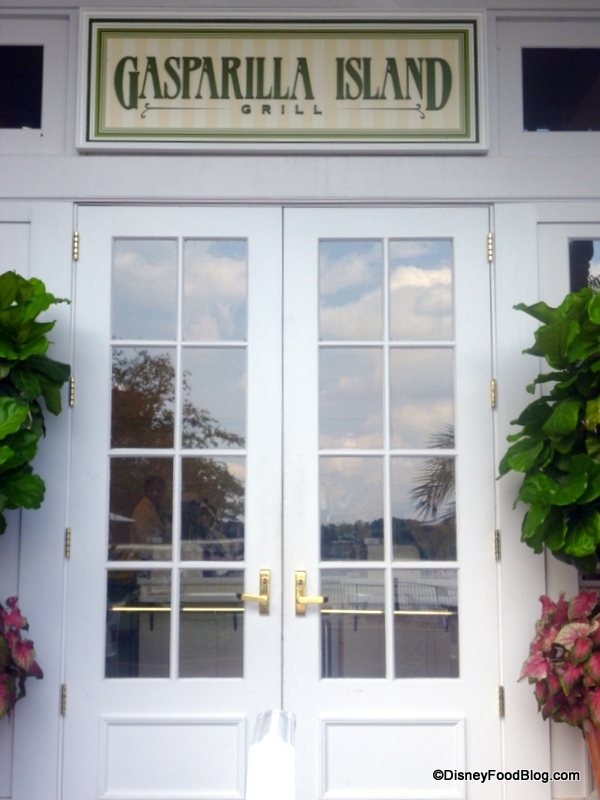 The restaurants in the immediate area are still in operation. The beloved Main Street Popcorn Cart is, too; however, it’s now located on the bridge which connects the Hub to Adventureland. 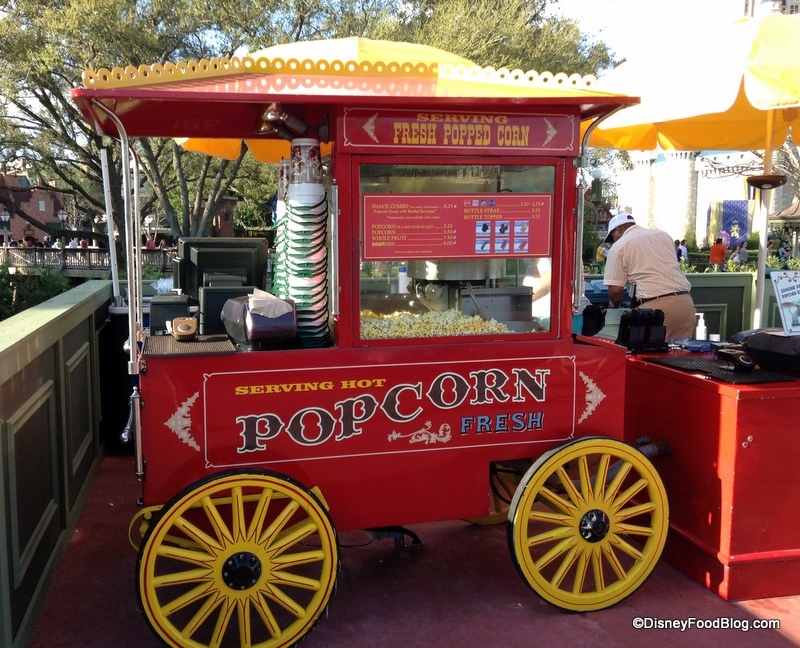 Still an easy spot to grab some popcorn before the new Festival of Fantasy Parade! 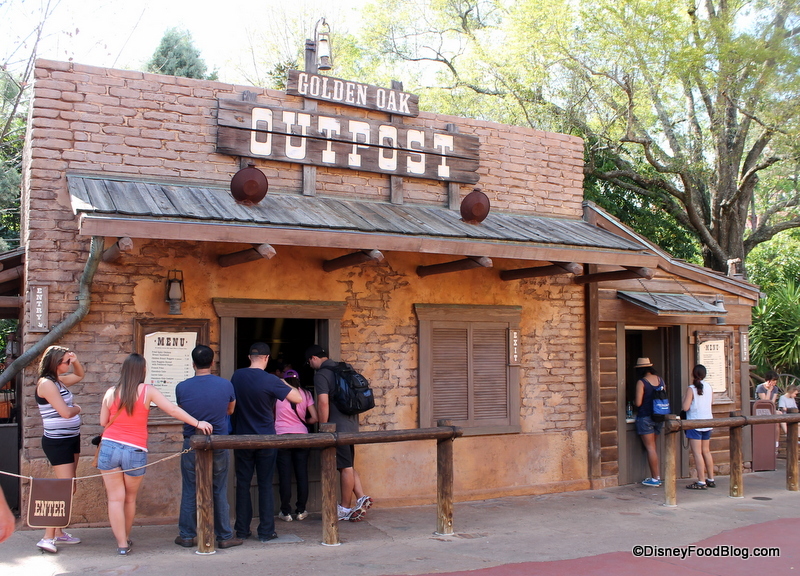 Though the majority of the refurbishment to add expanded seating to Casey’s Corner is complete, we’re still noticing some small changes here and there. 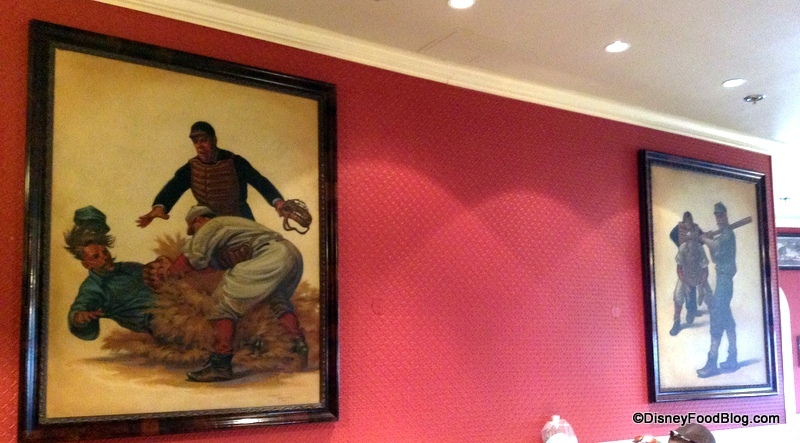 The wall in the back room, which formerly housed a large-screen TV featuring vintage Disney sports-focused cartoons, was empty in the immediate weeks after the reopening. Now returning are the large pieces of artwork depicting turn-of-the-century images of America’s Favorite Pastime. 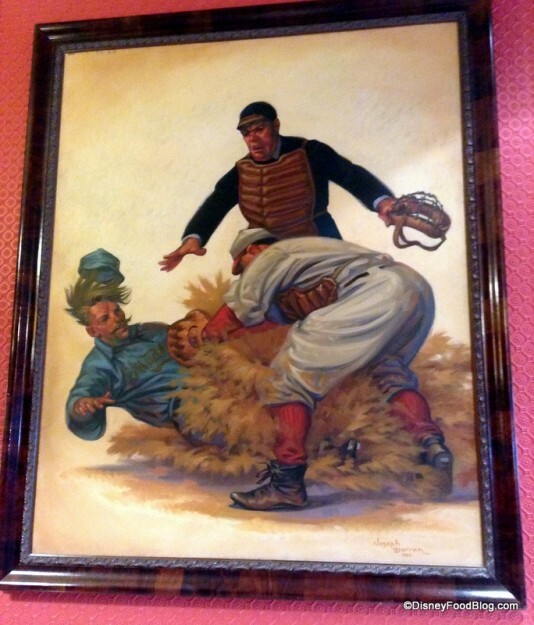 Looking at the picture below, I’m sure you can’t help but notice that the middle remains open. I’m keeping my fingers crossed that a big-screen may return, so we’ll continue to keep an eye out. 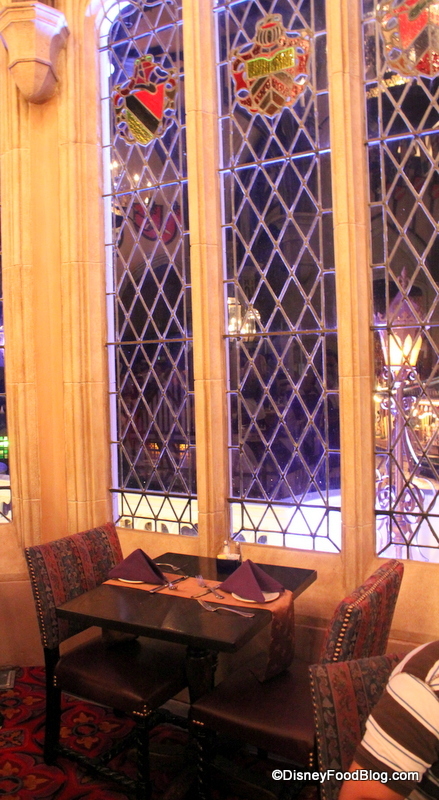 If you’re dining with Cinderella at Cinderella’s Royal Table, you’ll find a few changes to the entrée options. New to the Lunch and Dinner menus are Pan-Seared Chicken and Slow-Roasted Bone-In Pork Loin, while a Beef Tenderloin Salad has been added to the Lunch Menu only. You will no longer find Oven-Roasted Chicken Breast, the Pork Sandwich, or the Panzanella Salad on the Lunch Menu. The Oven-Roasted Chicken Breast has also been removed from the Dinner Menu, along with the Roasted Bone-In Pork Chop. 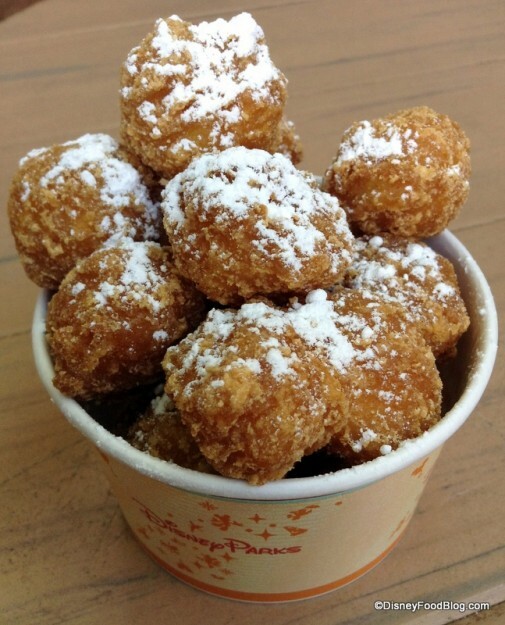 And now for something completely different… over in Frontierland, you can try Corn Nuggets Dusted with Powdered Sugar at Golden Oak Outpost (you can read our review here)! 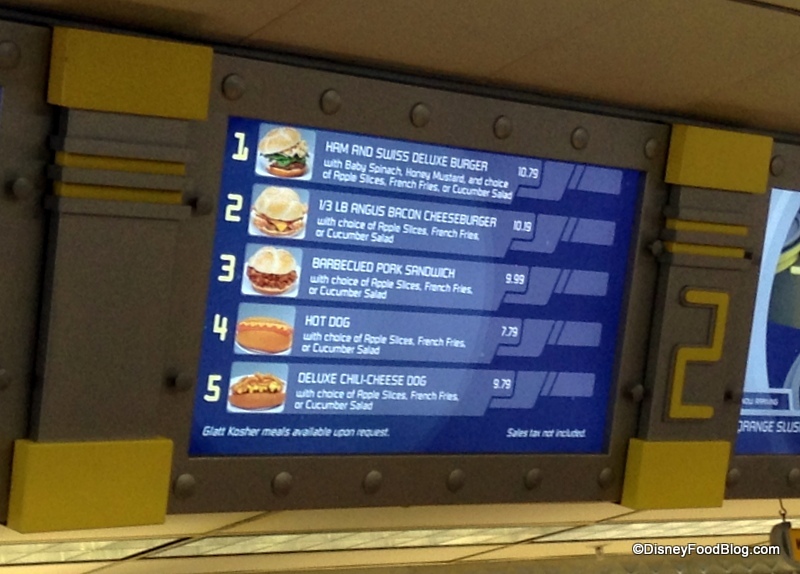 Over in Tomorrowland, Cosmic Ray’s Starlight Café has brought back the Ham & Swiss Deluxe Burger to the options in Bay 2 (you can read more about the “Bay” system at Cosmic Ray’s here). 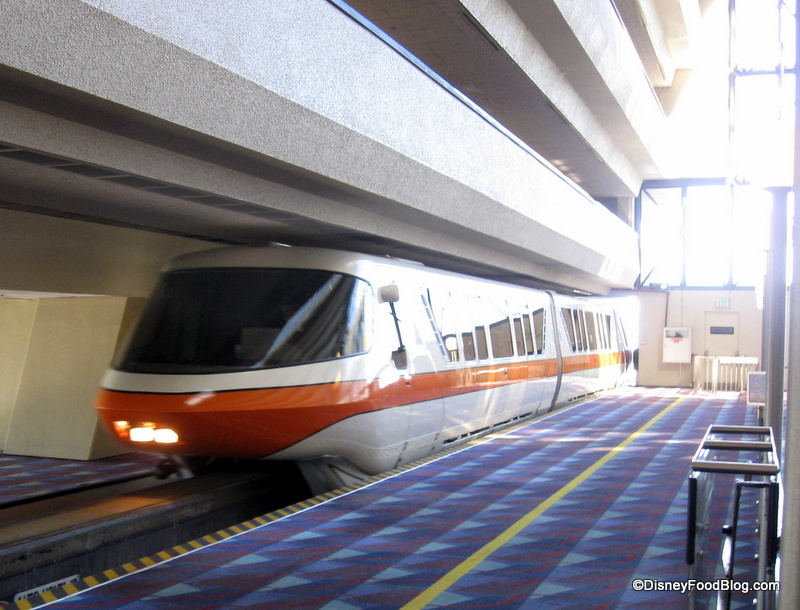 Monorail Orange will take us to our next stop… the Contemporary Resort! 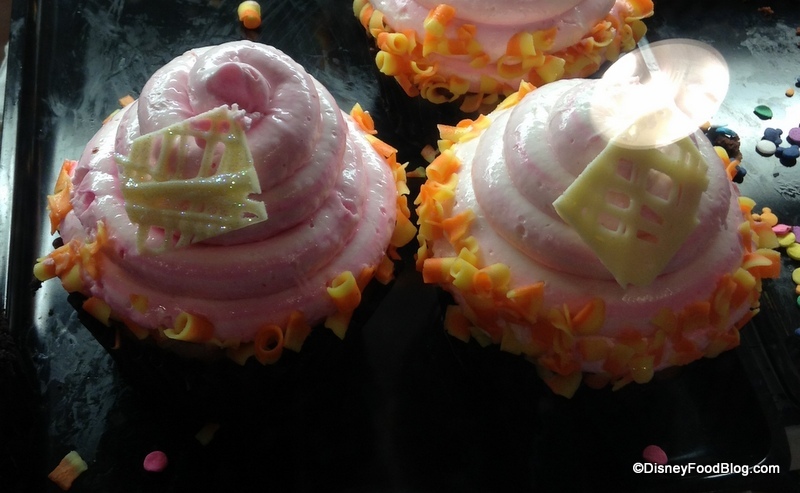 Remember, the fabulous cupcakes at Contempo Café change frequently, so it’s always worth taking a peek at the Bakery Case! See a few of our favorites here! All sorts of changes are in line to take place at our next stop… Monorail Yellow is dropping us off at The Polynesian Resort! 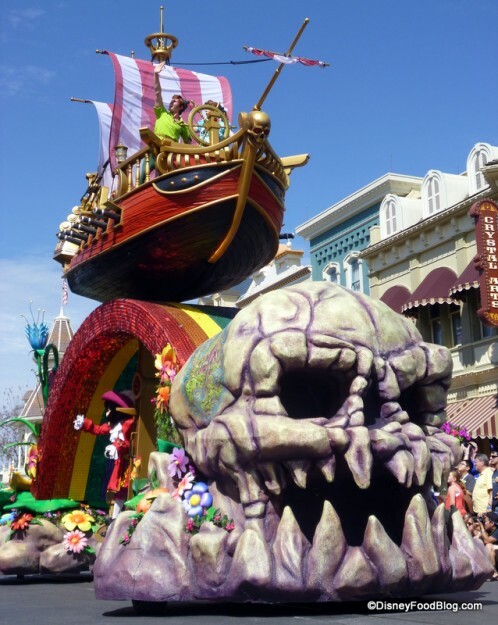 Captain Cook’s will soon undergo a refurbishment (starting April 9th). 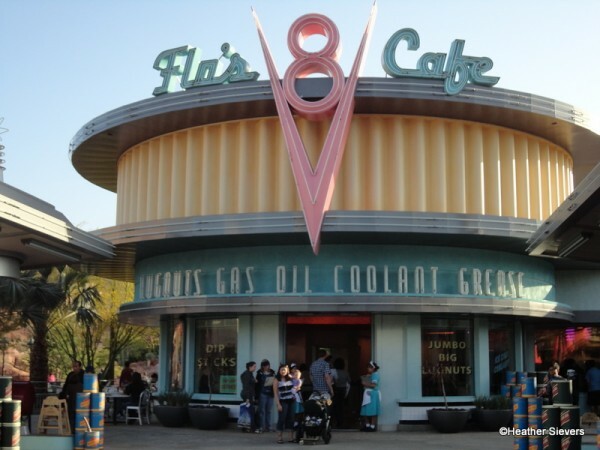 An alternate temporary quick-service dining location will be provided for guests in the meantime. However, there are some smaller changes, too; for instance, Bubble Tea is now being served at Kona Isle! 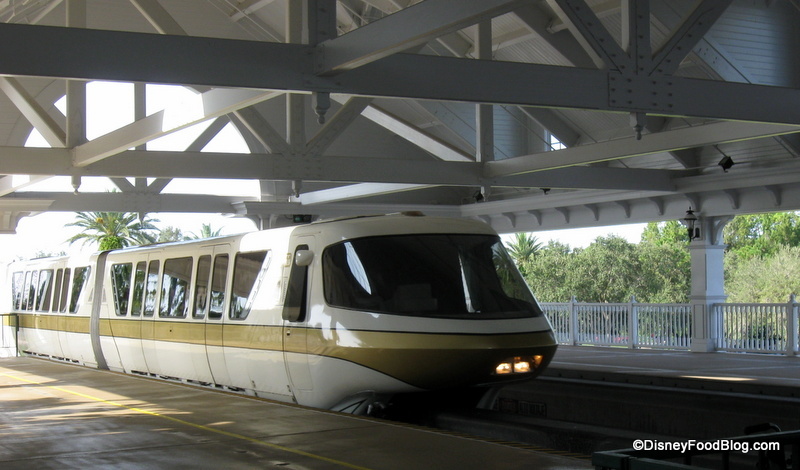 Monorail Gold brings us to our final stop on the Loop: The Grand Floridian. 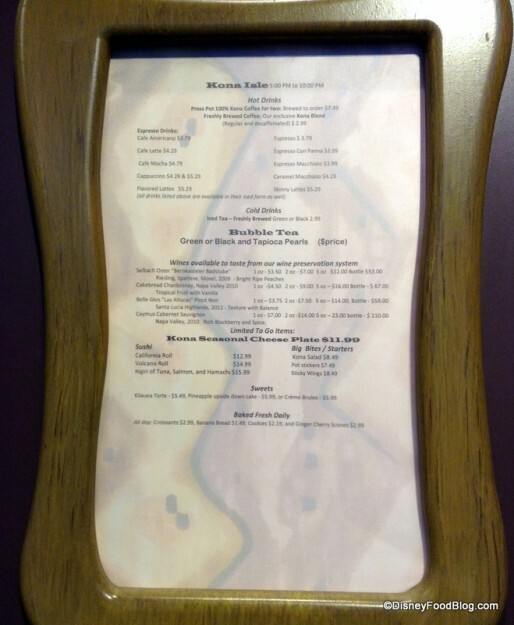 We noticed a menu change at the Grand Floridian’s Gasparilla Grill. This spot has been known to switch it up with salads at lunch and pasta at dinner, so seeing salad at dinner was a surprise. 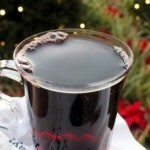 We’ll be checking it out and keeping you posted! 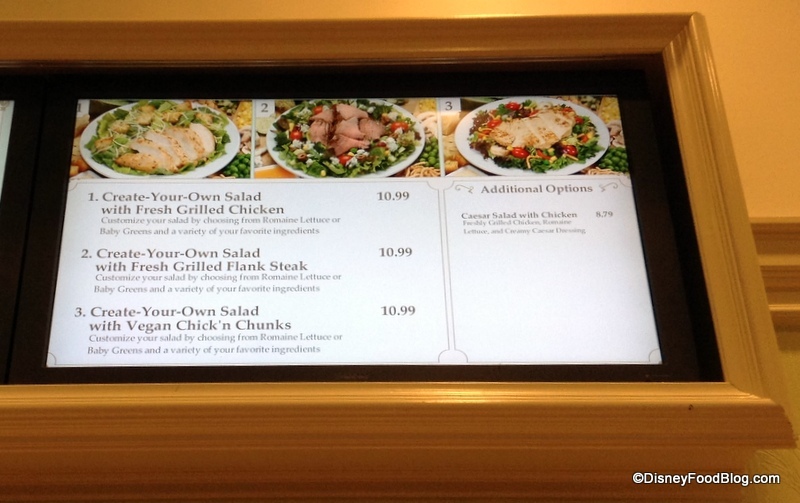 The current Create-Your-Own Salad station options include Fresh Grilled Chicken or Flank Steak as well as Vegan Chick’n Chunks. We also have a bit of news from the West Coast: Flo’s V8 Café in Disney California Adventure Park is no longer serving breakfast. So, if you’re looking for someplace new to start your day, Disneyland’s Downtown Disney has recently opened a brand new Starbucks location. 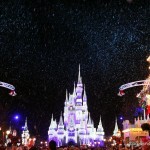 You can enjoy a full photo tour by clicking here! That concludes our coast-to-coast trip! Until next time, Eat and Be Happy! 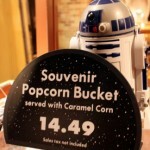 « Disney Food Pics of the Week: Mickey Snacks! Whoo…here’s an idea. For the Disneyworld Railroad. 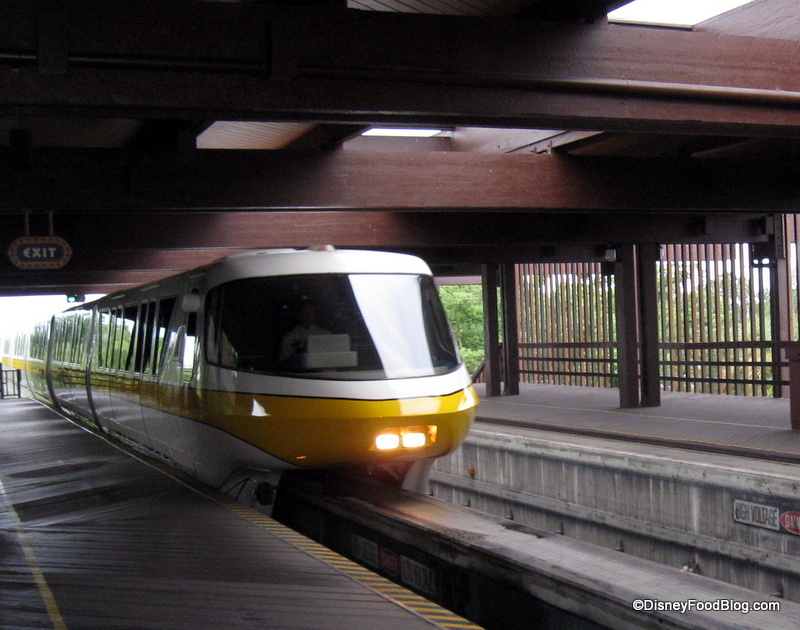 Add two cars…a Dining car and a Kitchen car. You’d have to supply some type of bathroom facility in the Dining car. 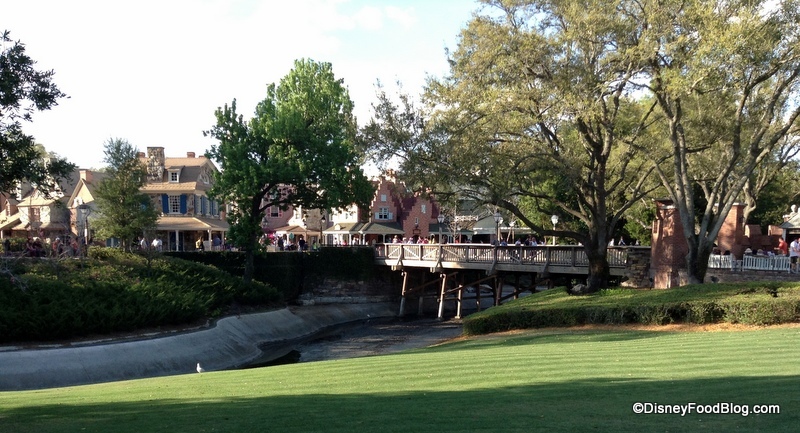 And you could still keep up the normal attraction for the main cars with exclusive boarding for lunch and dinner reservations. 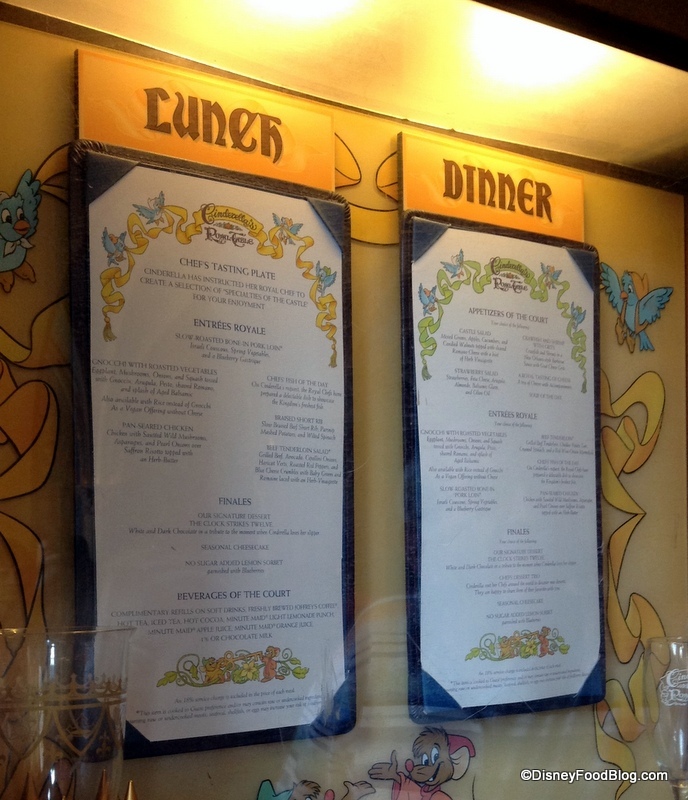 Considering the cost of a new resturant, a railway dining car option (with wine and beer) for dinner service with a fixed menu–or pre ordered web menu items. 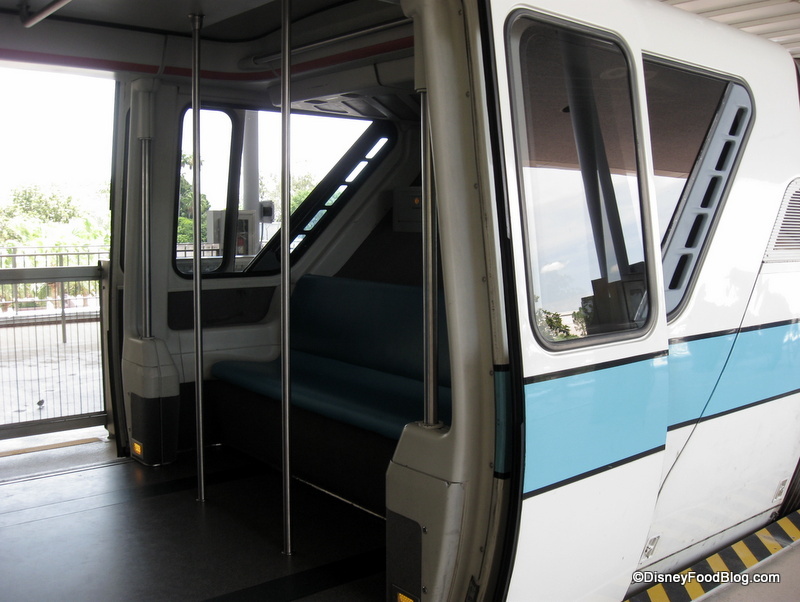 Heck if it would be fesable, I’d like a monorail dining car..and just ride it around and around while eating in an exclusive car. (Just shut down the “Please stand clear of doors” audio loop to remain sane over a couple of hours). 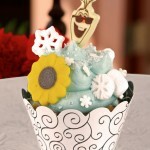 Christina — You can check out DisneyFoodBlog.com/disneyland-food for TONS of great posts and reviews of Disneyland food! Sandra, you do not have to be staying at a resort to eat at one its restaurants. I’ve been to a few restaurants at the deluxe hotels, but have never stayed at one. 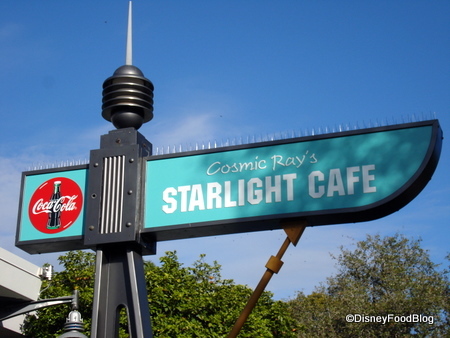 (As a Poly employee..) Captain Cooks temp location will be the former cast break room, they are fixing it up now. However, they will not be moving the dole whip machine. 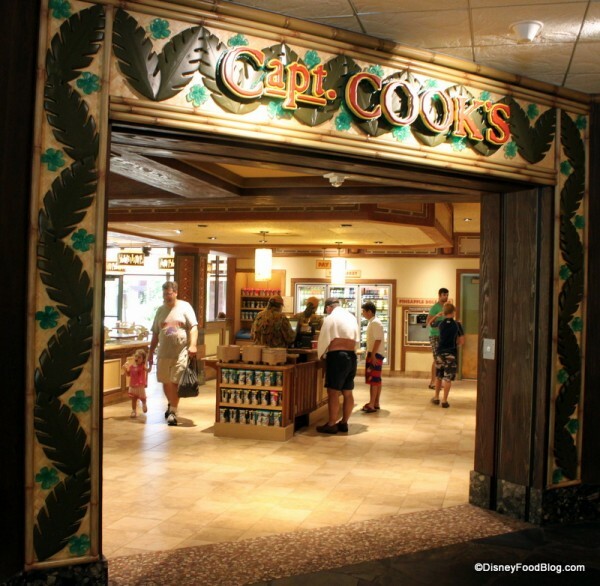 And when the renovations are done, the dole whip machine at captain cooks will not be returning as self serve. Sandra, you can go to any of the restaurants at the resorts without staying at them. Parking is also free if you have an ADR and are driving in, they will check the reservation when you get to the gate though. 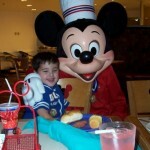 Any chance you or AJ can do an update on food/openings at Disney Springs? 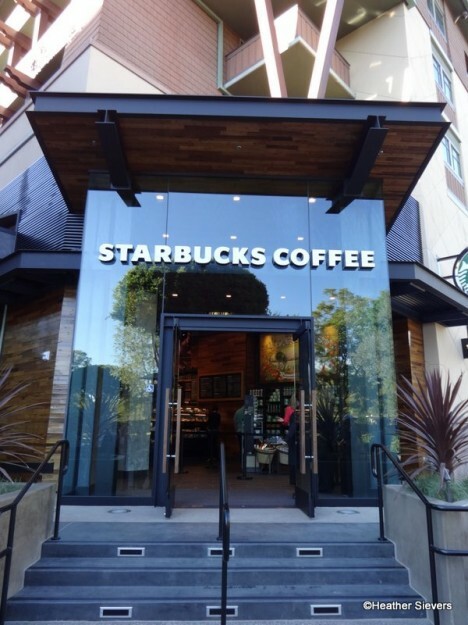 Starbucks should be opening at DTD soon, right? 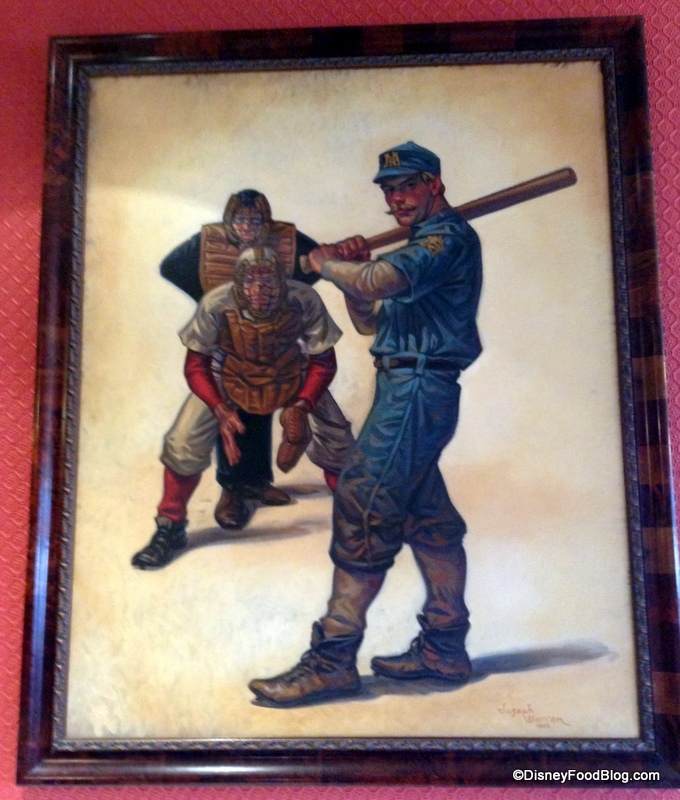 Just visited Casey’s Corner yesterday, and there is now a handful of smaller paintings occupying the space between the large paintings in the picture posted above. I believe there were light fixtures on either side of the small pictures where you see spots on the wall in the photo. Lynda — Thanks for the update!